Award-winning gospel singer Eko Dydda has silenced stories going around that he had chased away his wife and children from their matrimonial home. The stories, which dominated entertainment blogs over the past weekend alleged that the Niko na Reason hitmaker’s marriage was on the rocks. Eko Dydda has come out to respond to rumours with a video of himself hanging out with his family. 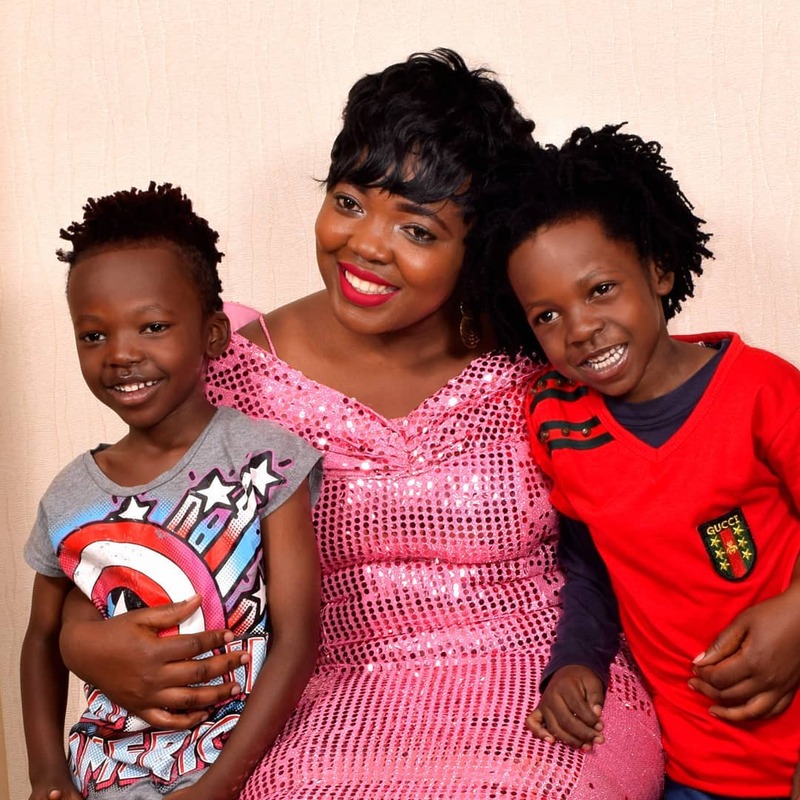 In the video, the Eko Dydda, his two sons and wife are goofing around at a shopping mall as the excited kids dominate the video. 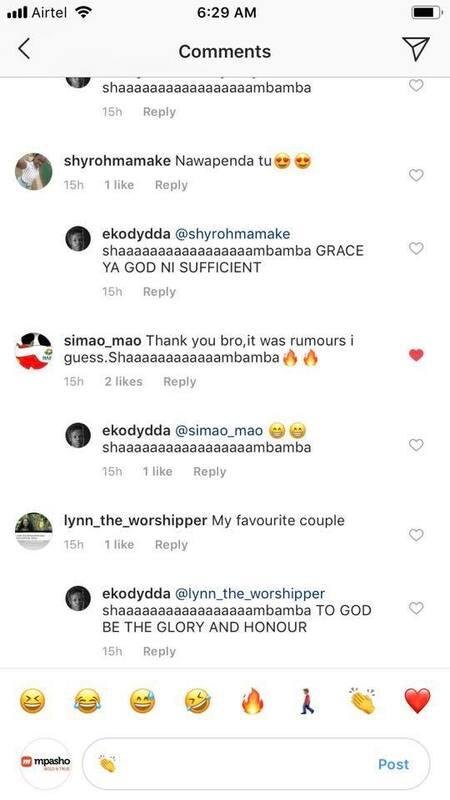 Fans of the gospel star flooded the comment section, asking him about the rumours that have gone viral. 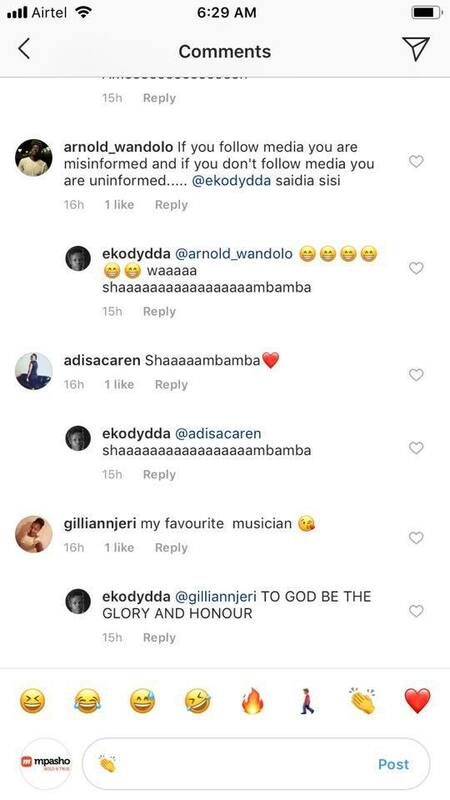 He responded to most of the comments with a comment that read “Shaaambamba”, which is believed to be his new song that will be released soon. To God be the glory and honour. carol_gachie Saidia sisi… Juu sosho media inamislead. Is it true you kicked out you family? calvy Si nlidhani ulifukuza bibi na watoi ama?